You may have noticed that the Metropolitan Museum of Art in New York City contains strange rooms. They are tucked away in the European Interiors section or back in the American Wing. These rooms do not display simply art or artifacts; they display other rooms. Or you could say that the rooms themselves are the display. In the American wing, you can see the interior of an old colonial house, or something tasteful from the Edwardian era. There is an entire living room designed by Frank Lloyd Wright, originally part of the Little House in Wayzata, Minnesota. In the European section of the museum, the interiors give you a glimpse of palace life in the 17th century and the salons of the 18th century. 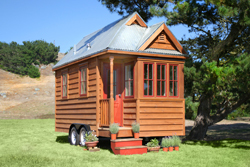 The myth of the tiny house movement. In the same way that America’s fast food purveyors pack their menus with cheap, empty calories, the country’s home builders pack their houses with cheap, empty space. On a cost-per-square-foot basis, the typical McMansion may seem like a good deal — but like a Big Mac, what sort of nourishment does it truly deliver? Gorge yourself on cathedral ceilings, three-car garages, and all the tasteless architectural condiments you can stomach (gables, turrets, etc.) and you’ll only end up as queasy and unsatisfied as the Joneses next door. I had initially intended to visit the National Museum that abuts Tiananmen Square, but someone informed me that it might be closed. 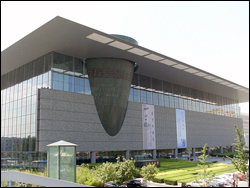 When I spoke to the concierge in my hotel, he suggested the Capital Museum, which had apparently opened in its present location in May 2006, and so, being relatively new, was not as well-known.